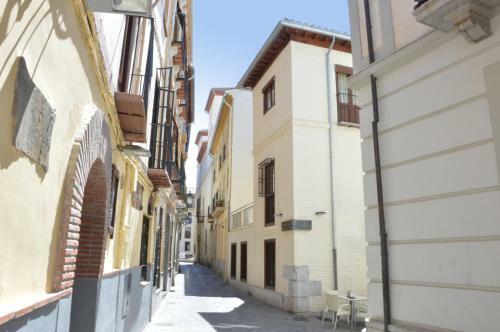 Apartamentos Principe offers apartments located in central Granada, 300 metres from Bib-Rambla Square and 350 metres from Granada Cathedral. The air-conditioned apartments come with free WiFi and a balcony. This hotel is 1149 metres from the Alhambra entrance, 274 metres from Plaza Nueva (the absolute centre of Granada), 1663 metres from the train station and 3170 metres from the bus station.